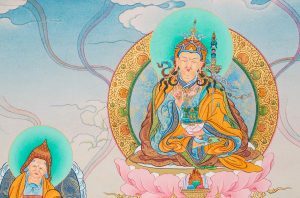 Following last year’s Guru Bhumtsok, upon her return to Western Australia, Hellen Claughton began a commitment to complete 100,000 Condensed Tsok offerings to Guru Rinpoche as well as reciting the Guru Rinpoche mantra. After 15 months, she completed 100,440 Condensed Tsok offerings to Guru Rinpoche as well as 91,800 of the Guru Rinpoche mantra. In 2017 Hellen was part of a committed band of Western Australian FPMT participants of the inaugural national Guru Bhumtsok puja in Australia. Like all those who attended the puja, she was greatly inspired and affected by the depth of this powerful practice. The puja was in itself, unlike many of the ‘regular’ rituals that we undertake in our centres, study groups and services. Kyabje Lama Zopa Rinpoche had specially requested the 100,000 Tsok Offerings to Guru Rinpoche of the Kopan nunnery a number of years ago. Since then several other individual FPMT centres such as Losang Dragpa Centre (LDC) in Malaysia had also offered it (very beautifully. Please note that a number of LDC organisers are attending Australia’s national Guru Bhumtsok in 2018 to support us in the set up of the extensive 100,000 offerings). It took a while initially for students to get used to the rhythm, the prayer and the tune, but after the first session, participants enthusiastically took it up, buoyed by the drums, the power of the mantra and the beautiful poignant longer prayers to dispel obstacles. Hellen was not alone in becoming overtaken by the beauty of this puja. As part of her practice Hellen began with Refuge and Generating Bodhicitta x 3, chanting Swiftly Clearing Away Obstacles and All Wishes Fulfilled, in English and Tibetan, then the Condensed Tsog offering to Guru Rinpoche 108 plus times, then the Guru Rinpoche mantra 108 plus times, ending with the Dedication prayer. These are contained in the Guru Rinpoche prayer book available at the 2018 puja. Guru Rinpoche with The King and Abbot (Detail A). Karma Ghadri style. Hellen dedicated the merit gained by completing these prayers to the Good Health and Long Life of His Holiness the Dalai Lama, Kyabje Lama Zopa Rinpoche and Geshe Tenzin Zopa. In addition the merit was dedicated on the 1st anniversary of the death of Jen Skane, a dear friend and beneficiary of many FPMT students’ and teachers’ prayers, and her dear friend Maureen, Jen’s sister. When Hellen finished the commitment she said, “It has been quite a moving morning, realizing that I have actually completed this commitment. 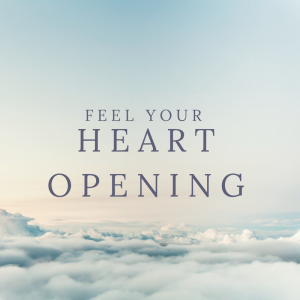 There have been a number of occasions during this time that I have felt blessed when obstacles have been removed from my life. A faith in the Dharma and guidance from our great Teachers has been my encouragement.